In retrospect, the Merkel-Obama years seemed like a golden age in German-American relations. In reality, the record was mixed. Important projects like TTIP were left unfinished. Although strong bilateral ties remain, the new administration could mean trouble ahead. As Barack Obama begins to prepare to turn the White House over to Donald Trump in January, many Germans and Americans might go through a prolonged period of Obama nostalgia. Obama restored the sense in Germany and Europe that it’s possible to have an American president who looks at the world very much the way European leaders and publics do. After the tumultuous George W. Bush years, the American image in Germany was at a low point. Polls taken over the past summer show that Obama is more popular with the German public than Chancellor Angela Merkel, and that he has also raised the approval rating for the United States. While the revelations of NSA spying on and with Germany damaged trust, even now a majority of Germans believe the US government respects the personal freedoms of its people, if not necessarily of its allies. All of this was unexpected at the beginning of Obama’s time in office. The two leaders got off on the wrong foot after Merkel denied Obama’s request to hold a speech at Berlin’s iconic Brandenburg gate. Merkel was unhappy and perhaps even envious about the enthusiastic welcome he received. But that awkward beginning didn’t last long, as these two similarly rational, realist, and serious leaders came to appreciate one other. Obama was unlike Russia’s Vladimir Putin, France’s Nicolas Sarkozy, and other macho leaders who Merkel could not stomach. Obama called Merkel his closest ally over his eight years in office during his last visit to Berlin in November 2016. While the American public is less concerned about Germany than the German public is about the US, what it does know about Germany is quite positive. A Pew survey in 2015 found that a widespread majority of Americans (72 percent) see Germany as a reliable ally, including nearly a quarter (24 percent) that think of Germany as very reliable. Older Americans (77 percent) have more faith in Germany than younger ones do (66 percent). Roughly four-in-ten Americans (38 percent) also approve of how Merkel is handling bilateral ties, while fewer disapprove (27 percent). Notably, men (44 percent) are more supportive than women (33 percent), as are those with a college degree (46 percent) compared with those with some college education (35 percent). The finding that 35 percent of Americans have no opinion of how Merkel is dealing with US-German relations is further evidence that Americans are not paying much attention. While American opinion on Obama’s handling of relations with Germany was mixed, 40 percent approve of the job he is doing, 36 percent disapprove. As might be expected, Democrats (67 percent) say Obama is doing a good job, while only 16 percent of Republicans agree. Other surveys have found widespread positive views of German society and German economic achievements. A poll commissioned by the German embassy in Washington in March 2016 found a majority of Americans have a positive image of Germany, see German-American relations in a good light and consider Germany to be the third most important partner for the US after Britain and Canada. There are however continuing concerns that Germany is taking more than it is giving. 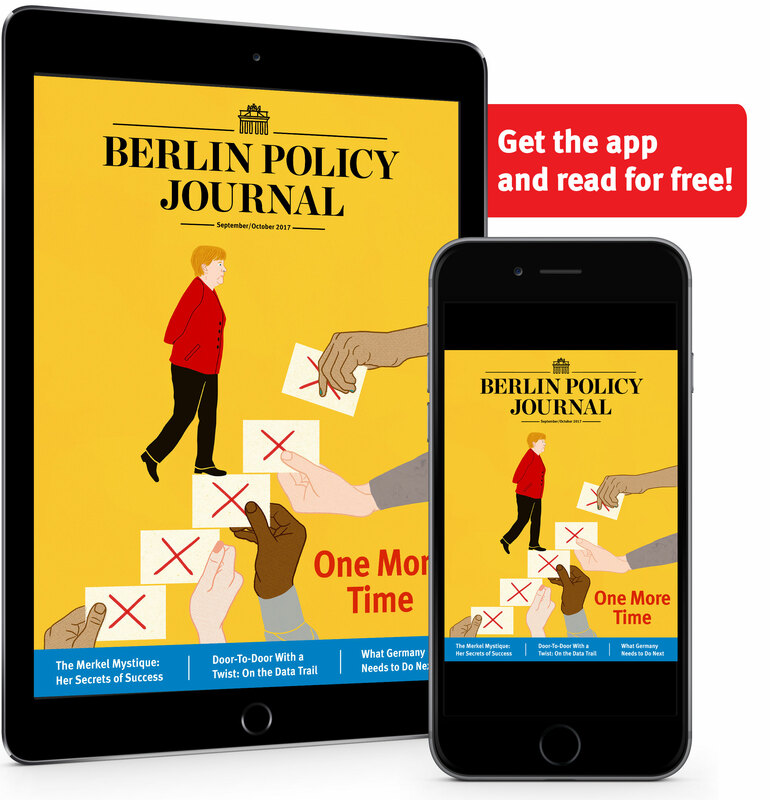 Polls show more than half (54 percent) of Americans think Berlin should play a more active military role in maintaining peace and stability, while only 37 percent say it should limit its role. Democrats (60 percent) are most likely to back a more active German military. After Brexit, Germany clearly became America’s most important political partner in Europe, with Merkel as Europe’s key leader. The economic relationship has been far more mixed. America is Germany’s largest trading partner while Germany is the fifth largest US trading partner globally. American firms have invested $116 billion in Germany. German investments in the US total $224 billion and German firms employ over 620,000 American workers. This close economic relationship has been an important factor in promoting close political ties. But there are key differences: the Obama administration took a Keynesian approach to deal with the American financial crisis and believed that Germany should do the same in the eurozone. 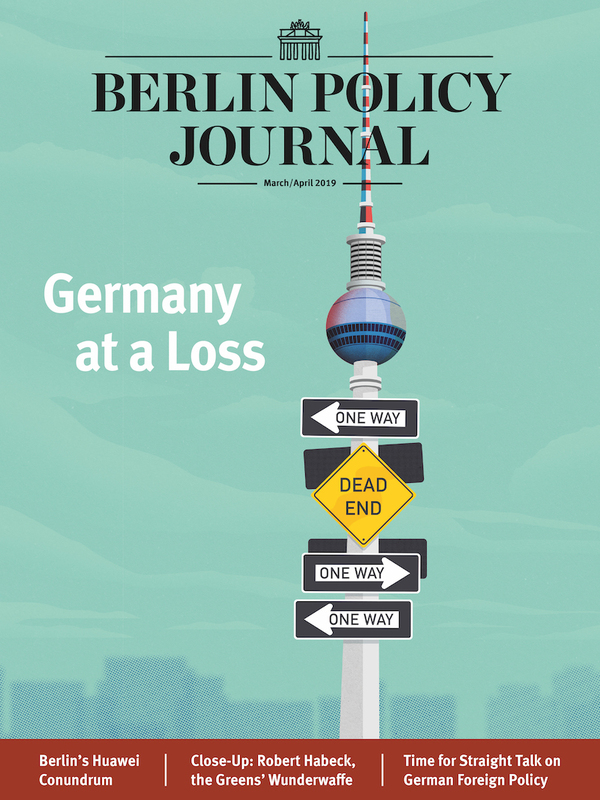 Instead, Berlin took the austerity approach, emphasizing structural reforms over stimulus. Also, a major initiative to expand transatlantic trade and investment (TTIP) fell apart. The growing anti-free trade movement in the US, combined with a public backlash in Germany, delayed negotiations long enough so that it failed to be passed during the Obama-Merkel era. And European concerns over big data and the role of American corporate giants like Apple, Microsoft, and Google created both economic and political tensions. The German-American relationship is now facing uncertainty. President-elect Trump stands for almost everything European and German leaders don’t: he has denied climate change, championed “America First” unilateral nationalism, and expressed admiration for illiberal regimes and leaders. Just as President Obama came in as a corrective to the nationalistic policies of George W. Bush, Trump sees himself as a corrective to the multilateralism and soft power approach of Obama. He will inherit the mantle from a president who many in both parties believe has been too reactive and passive, especially regarding Putin and Russia. Obama, Hillary Clinton, and Trump all believed that European allies have to boost defense spending to shoulder a growing burden with the US. But Trump has gone much further and linked American security guarantees to levels of European burden sharing. Chancellor Merkel’s commitment to expand defense spending significantly and move towards the NATO target of two percent of GDP is an important step, but it will have to be followed up with substantial improvements in German and European defense capabilities. See the June 2016 Pew poll, “As Obama Years Draw to a Close, President and US seen Favorably in Europe and Asia,” Pew Research Center: Global Attitudes and Trends, June 29, 2016. Pew Research Center, “German and the United States: Reliable Allies,“ Pew Global Attitudes and Trends, May 7, 2015. Nearly seven-in-ten Republicans (69 percent) say the United States is not being tough enough on Russia over Ukraine; only 47 percent of Democrats agree. Most Democrats (59 percent) believe TTIP will be good for the country, while only 45 percent of Republicans support that view. And while 60 percent of Democrats would like to see Germany play a more active military role in the world, just 51 percent of Republicans want Germany to take on more of the security burden. The poll done for the German embassy found that while Germany is an important ally in the fight against terrorism, it should do more to combat terrorism including doing more militarily. Bureau of European and Eurasian Affairs, U.S Department of State, US Relations with Germany, Fact Sheet, November 5, 2015. 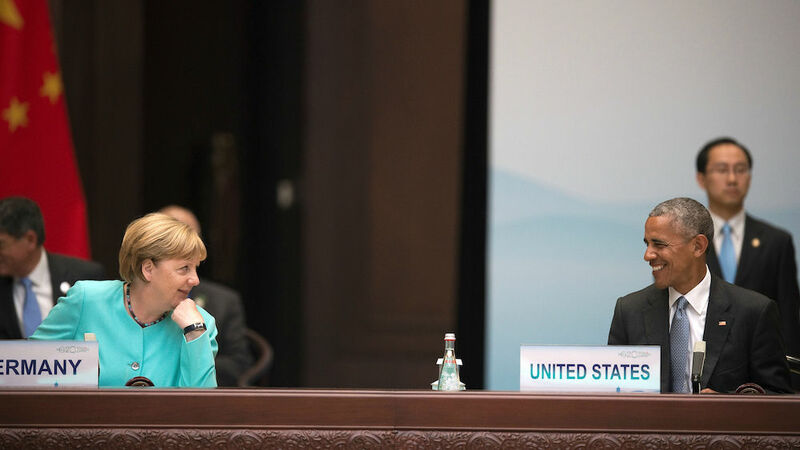 Alison Smale and Steven Erlanger, “As Obama exits the world stage, Angela Merkel may be the liberal West’s last defender,” The New York Times, November 12, 2016.
is the Executive Director of the German Marshall Fund of the United States’ (GMF) Transatlantic Academy.